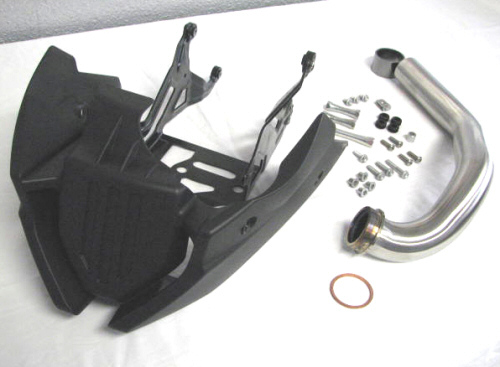 This kit is constructed from the OEM parts used to make the Chin Fairing on the '14 Dorsoduro 750 ABS. 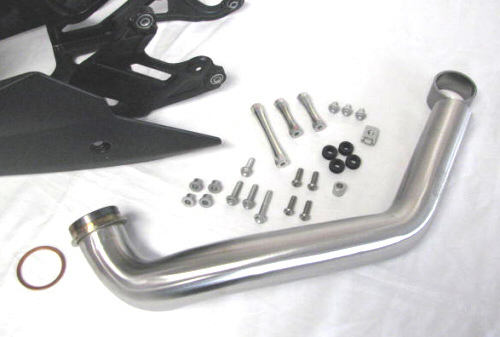 Kit also includes the required front header pipe and gaskets for fitting of this kit. Please consult the photos and video link for installation guidance. Medium strength threadlock compound must be used on all fasteners. Medium strength threadlock compound can be purchased from the right margin of this page.